A comprehensive year-long course covering major themes in Jewish law, practice, and thought. Explore how a 5,000 year old religion is more relevant today than ever before. 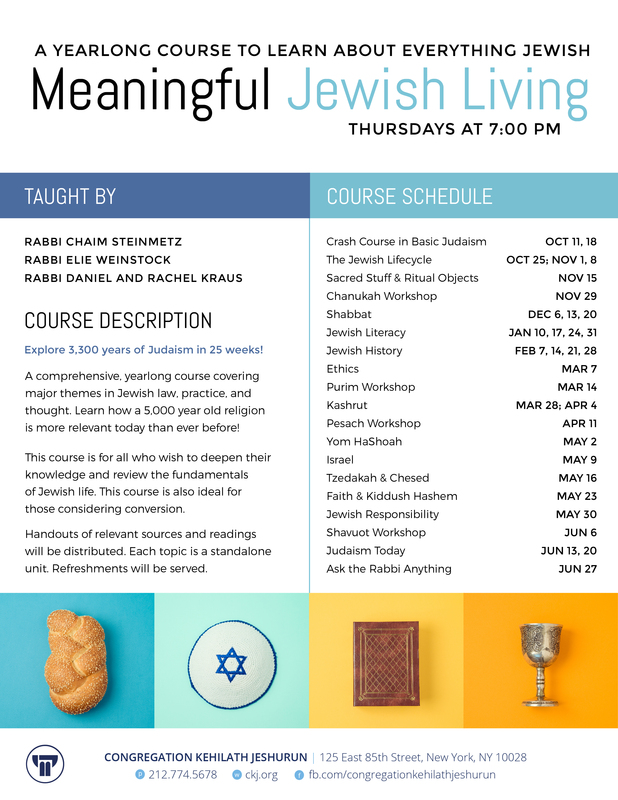 This course is open to all who wish to deepen their knowledge and review the fundamentals of Jewish thought and practice. This course is also ideal for those considering conversion. Refreshments will be served and readings provided. Join us in person or via Facebook live. Handouts will accompany each topic. Refreshments will be served!